Catherine holds a First Class Honours Degree in Psychology from Trinity College Dublin, where she also worked as a research assistant in the Trinity Institute of Neuroscience. Catherine’s thesis is provisionally-titled “Examining the construction of misogyny online: a case study of the ‘incel’ subculture.” Her research is funded by the Online Civic Culture Centre (O3C) at Loughborough University. Lewis’s thesis is provisionally titled ‘The political knowledge industry.’ He is funded by a 1+3 studentship from the Economic and Social Research Council’s Midlands Doctoral Training Partnership at Loughborough University. Nick’s thesis, which was nominated by Royal Holloway’s Department of Politics and International Relations for the European Consortium for Political Research’s Jean Blondel Prize, was concerned with how structural differences between the British and American party systems shape political uses of the Internet during election campaigns. Nick is currently an Associate Professor in Political Communication in the Department of Media and Communications at LSE. See Nick’s blog. Aaron’s thesis was entitled “Strike! Occupy! Retweet! : The Relationship Between Collective and Connective Action in Austerity Britain.” He is co-founder of Novara Media and a contributor to the Guardian, the London Review of Books, the New York Times, Vice, Left Foot Forward, and Open Democracy, among many other outlets. Follow Aaron on Twitter. Simon’s thesis was entitled “Hybridity, Materiality & Choreography: Towards a Theory of Mediated Power in a Networked Communication Environment.” Simon studied part time. Following a period as Senior Lecturer in Communication at the University of the Arts, London, he recently returned to professional public relations practice with Blackbook London. Follow Simon on Twitter. James’ PhD was entitled “It’s Better to Light a Candle than to Fantasise About a Sun”: Exploring Social Media and “Slacktivism.” His research provides an extended critique of the popular idea of “slacktivism,” and he sets this out with a radical and highly innovative multi-method research design consisting of ethnographic fieldwork, media consumption diaries, and a series of lab experiments. He was funded by the Economic and Social Research Council South East Doctoral Training Consortium and I co-supervised him with Professor Ben O'Loughlin. James was awarded his doctorate in November 2015 and from June 2016 he is a permanent Senior Lecturer in Journalism in the School of Social, Historical and Literary Studies at the University of Portsmouth. His dissertation was awarded the American Political Science Association Information Technology and Politics Section Best Dissertation Award, 2017. For more information about his research and teaching, see his website. Christopher researched the internet’s role in civic engagement, mobilization and social capital, based on an analysis of the role of religious organizations in US politics. Dr Boerl was communications manager for Mike Williams for Congress 2012 and currently works for Teach for America, a U.S.-wide educational nonprofit. Yenn Lee’s thesis focused on mobilisation and civic engagement on the Internet, on the basis of a case study of the Nosama movement in South Korea. Yenn blogs at Yawningtree.net. She is now a Lecturer in social science research methods at the School of Oriental and African Studies, University of London. Declan’s project examined, through ethnographic methods, the processes of “public making” in the development of driverless car technology. His thesis was entitled “The Participatory, Communicative, and Organisational Dimensions of Public-Making: Public Engagement and The Development of Autonomous Vehicles in the United Kingdom.” I co-supervised his project (externally after I moved to Loughborough University) with Professor Ben O’Loughlin. Declan is currently a teaching fellow in politics and international relations at Queen Mary, University of London. See Declan’s website. Amy examined elite control of political communication in the hybrid media system. 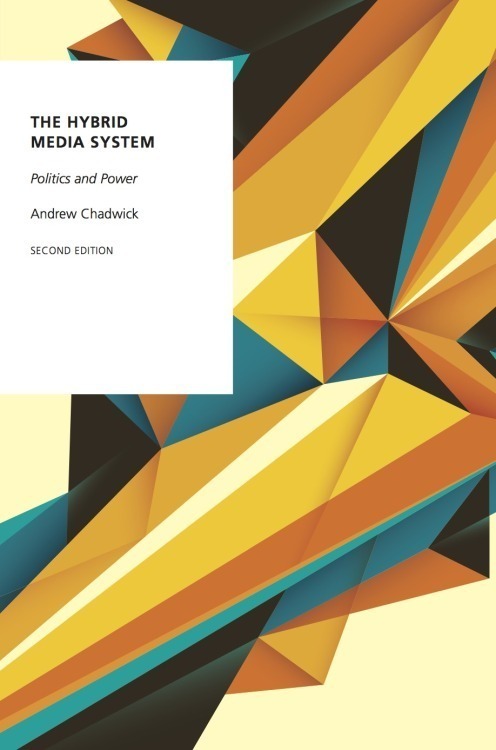 Her thesis was entitled “Commodification and control: news media agenda setting during the 2015 United Kingdom general election.” She was funded by the Economic and Social Research Council South East Doctoral Training Consortium. I co-supervised her project with Professor Ben O’Loughlin. Amy is currently a lecturer in politics at the the Unversity of Sheffield. Follow Amy on Twitter. Ellen’s PhD, “Celebrities as Political Representatives: Explaining the Exchangeability of Celebrity Capital in the Political Field” is about how celebrities use media to establish representative claims to act politically. She was funded by the Economic and Social Research Council South East Doctoral Training Consortium. I co-supervised her project (externally after I moved to Loughborough University) with Professor Ben O’Loughlin. Ellen’s website.